The promo material that came with Give It Away had a heading that read Bill Gaither Thinks New Gaither Vocal Band CD May Be Their Best Yet. 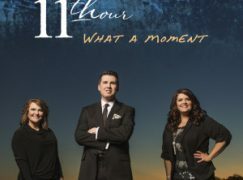 It’s true that it’s an excellent CD compared to most recordings by vocal groups both inside and outside Southern Gospel, but I think Gaither is kidding himself if he really believes it’s the best GVB release ever. Not to go overboard breaking down his meaning, I did notice he used the word “may.” Fair enough. I suppose it MAY be their best, but looking over my stack of GVB CDs dating back to A Few Good Men and the original Homecoming release, I only see a couple I’ll probably listen to less than Give It Away in the future. The last “normal” studio release from the GVB came in the fall of 2002 (Everything Good), so fans should be chomping at the bit for Give It Away. They get their money’s worth with fifteen songs that come up less than a minute shy of being a full hour of music. Two remakes on Give It Away have more recent sources. The first is Guy Penrod’s take on Gordon Mote‘s “I Catch ‘Em, God Cleans ‘Em” from 2005. The other is a worship song co-written and originally performed by Carl Cartee (also in 2005) called “Glorious Impossible.” It has the potential to re-open doors for the GVB on contemporary Christian radio, and may be the best cut on this CD. Original material on Give It Away includes “Through,” a dynamic Guy Penrod feature with light piano and strings for accompaniment. “Love Can Turn The World” features a jungle beat (think The Lion King, not hip-hop) and a children’s choir from Africa. “Child Forgiven” is one of two driving Country songs on the CD…”I Catch ‘Em, God Cleans ‘Em” being the other. A slower tune called “Place Called Hope” is positioned near the end of the CD. (It’s not the Michael English song.) The CD then concludes with the mid-tempo “Give It Away,” with the GVB joined on vocals by their tour-mates, Ernie Haase and Signature Sound. I will spare tenor singer Wes Hampton the obvious comparisons to previous tenor David Phelps who he replaced in 2005. I will compare him to Phelps’ predecessor Jonathan Pierce, though, by saying I prefer Pierce’s version of “I’ll Tell It Wherever I Go,” but Hampton still does a great job with the song. Hampton’s voice compliments complements Guy Penrod’s and Marshall Hall’s, and he proves on songs like “Bread Upon The Water” that he can hear and sing tight harmonies. Despite its bulk and consistently excellent vocals and production quality, the songs on Give It Away are all over the place musically and thematically. All these songs are great individually, but do they go together? No. “Why Me,” “I’ll Tell It Wherever I Go,” and “The Lion Sleeps Tonig…er…I mean…”Love Can Turn The World” are from totally different musical worlds. It’s like you’re hearing parts of three or four different projects. In the final analysis, we have a recording that comes across as less than the sum of its parts. It’s a significant enough flaw to knock off a half star from what would otherwise be a five star recording. See http://www.xanga.com/BigRedDaddy for my review. I think I liked it more than you did, but I’m a dyed-in-the-wool GVB fan. I too am a devoted GVB fan. I first bought “Give It Away” this for my wife and then a good friend.This summer I really had time to listen to it and I love it. I like the variety. 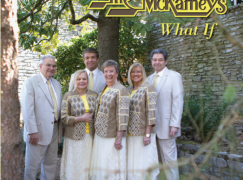 It is not “sleepy” like some Southern Gospel. It reminds me a lot of the projects by Cook, Dixon, and Young who celebrate many musical styles in their projects. I am a great jazz and blues fan and the GVB arrangements of “Jesus Loves Me” and “I’ll Tell It Whereever I Go” takes me to The Delta! 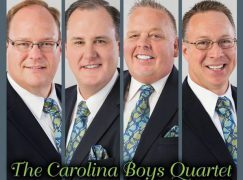 Thanks, Bill Gaither for having the courage to showcase such great music and for putting together another terrific quartet! You are a treasure and not just in Christian Music circles. By the way, when is someone going to push for Bill and Gloria Gaither to be honored at The Kennedy Center or The Presidential Medal of Freedom? They deserve it. Strange, I have thought about that several times as for the Kennedy Honors. Does the committee even recognize SG as a legit genre? As for the GVB best, I still listen to Loving God, Lovin’ Each Other asthe best I have heard but am looking forward to this most recent offering. I actually know the difference, but sometimes my fingers don’t listen to my brain.